Beverly's Official Blog | News and findings from world of crafts, scrapbooking and more: Get Ready for Mother's Day! Don't forget, Mom's Day is this Sunday, May 10. Not sure what to get her? 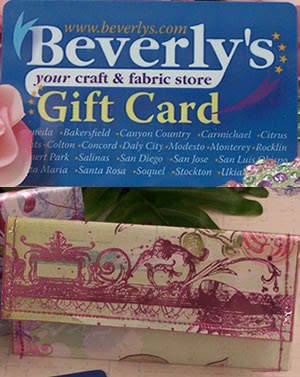 How about a Beverly's Gift Card! And check out our new "how-to's" - including this cute gift card holder.